Two days ago, EME boss, Olubankole Wellington took to the social media to tell fans that he has decided to make Nollywood actress Adesua Etomi his wife. 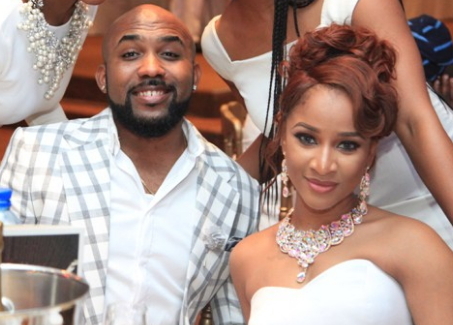 Insiders alleged that Banky W didn’t tell Adesua Etomi before making the engagement story public. Do you know how she got to know? All of a sudden the actress got a flood of call on her telephone line. In the video you are about to watch, the actress said colleagues and friends bombarded her phone with congratulation calls. Adesua and Banky W are currently planning a private family introduction ceremony for this coming Saturday the 6th of May 2017.